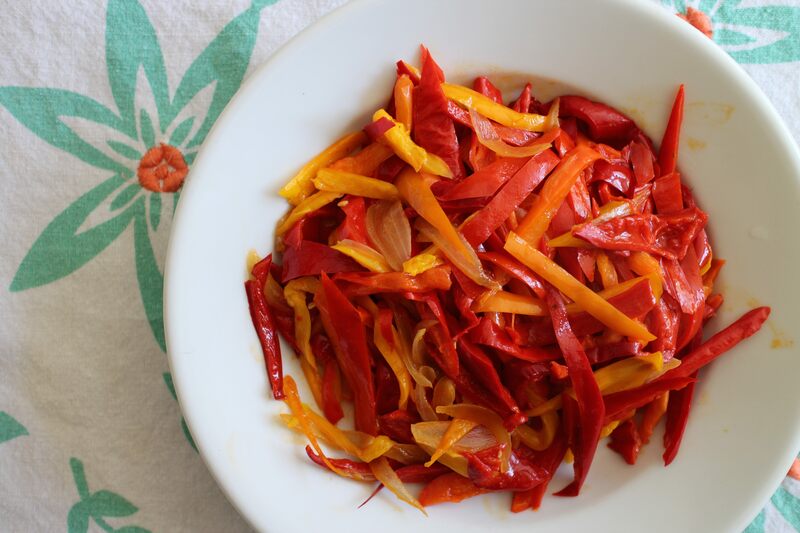 Piperade, the Basque version of pepper sauté, is simple. 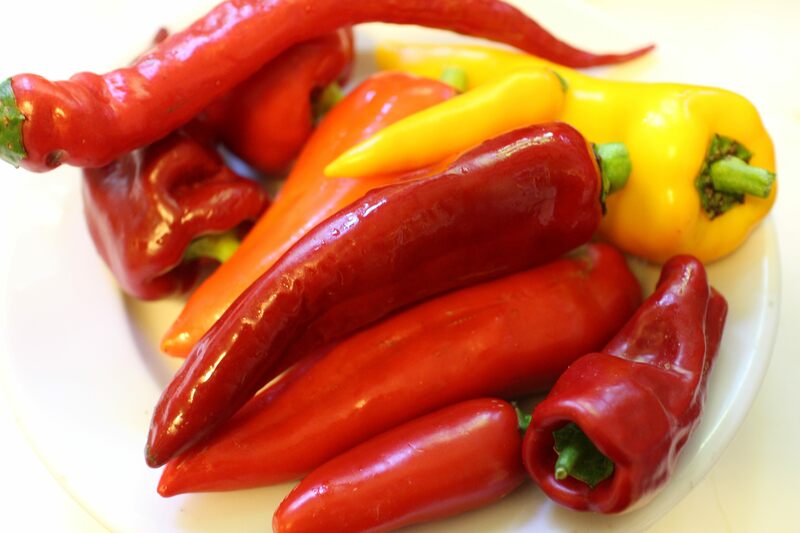 You sauté thinly sliced onion in olive oil, add thinly sliced peppers (I cleaned out my garden and used a variety) and cook them slowly until tender. Add chopped tomatoes and a little smoked paprika, and there you have it. I make a big batch on the weekend and use it in numerous ways throughout the week. It’s great with a poached egg for a quick meal. Strip the kernels from the corn (stand a small bowl in a wide and deep bowl and place the stem end of the corn on the bowl, cutting vertically to allow the kernels to fall into the bowl versus scattering about). Place a large wide saucepan over medium heat and press the ancho chili into the pan until lightly steaming, flipping it once. Place the corn, milk and ancho chili in a food processor and whir to chop them finely. You probably need to do this in two batches, adding them to the pan as you go. Add paprika and, over low heat, let the mixture come almost to a simmer. The milk should be lightly steaming. Remove the pan from the heat, cover it and let the mixture steep for 30 minutes or longer. Preheat the oven to 350 degrees. 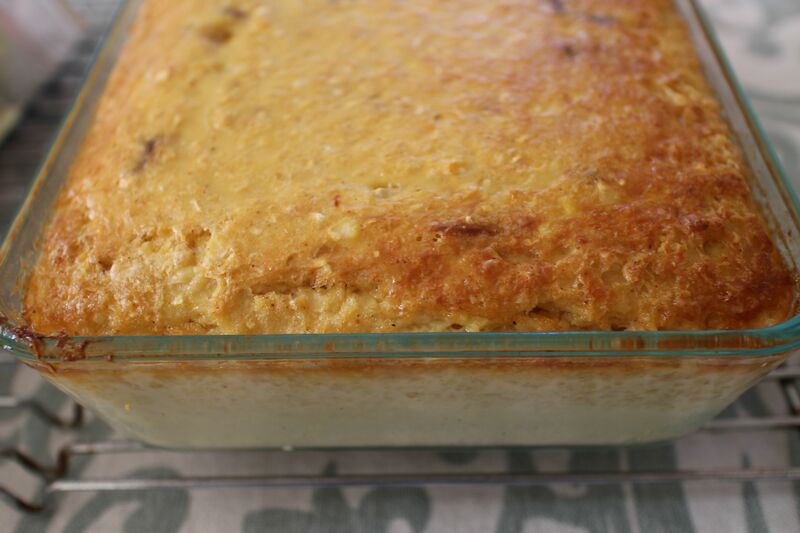 Generously coat a 6-cup baking dish with butter. Put a kettle of water on to boil. Pour into the buttered baking dish and place it into a larger pan, adding hot water to come up the sides by one-third to one-half. Bake for 40 minutes or until a knife inserted into the center comes out clean. The center will be a little loose, but will firm up as the pudding cools. Serve warm. Makes 6 servings.